Desirable open floorplan, hardwood floors, all bedrooms on main level with game room on 2nd level. 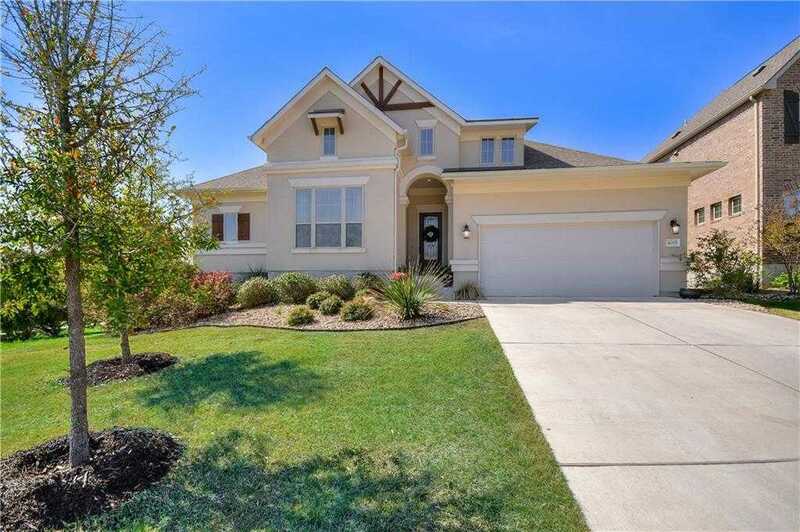 Stylish finish out, large kitchen island, natural gas cooktop, walk-in pantry, ample cabinet space. Spacious covered patio, room for a pool. Home adjacent to hike path which provides privacy buffer on 1 side. Located in Sweetwater which features lots of amenities:Walking Trails, Playground, Community Pool, Clubhouse & Sports Complex. Convenient to shopping, restaurants & in the acclaimed Lake Travis ISD. Please, send me more information on this property: MLS# 4814798 – $439,900 – 6005 Gunnison Turn Rd, Austin, TX 78738. I would like to schedule a private showing for this property: MLS# 4814798 – $439,900 – 6005 Gunnison Turn Rd, Austin, TX 78738.